In my previous post about French-themed games, I included a memory match game in which one of the cards is "Carrousel en 1900." While I can't turn back time and ride a French carousel actually in 1900, we've had many chances to ride carousels from 1900. They're as good as time machines. The one we see most frequently is in the square of the Hôtel de Ville during the winter. In addition to the paintings of famous landmarks that adorn the carrousel, you can see the real Notre Dame in the background. It's particularly gorgeous at night. At the Luxembourg Gardens, there's an added extras something: the chance to sit on the outer row, try to put a wooden baton through the metal rings, and collect as many as possible. This friendly, smiling man always seems to be the one manning the booth. And he's always this excited about it. Luckily, the enthusiasm of the kids is somewhat higher. 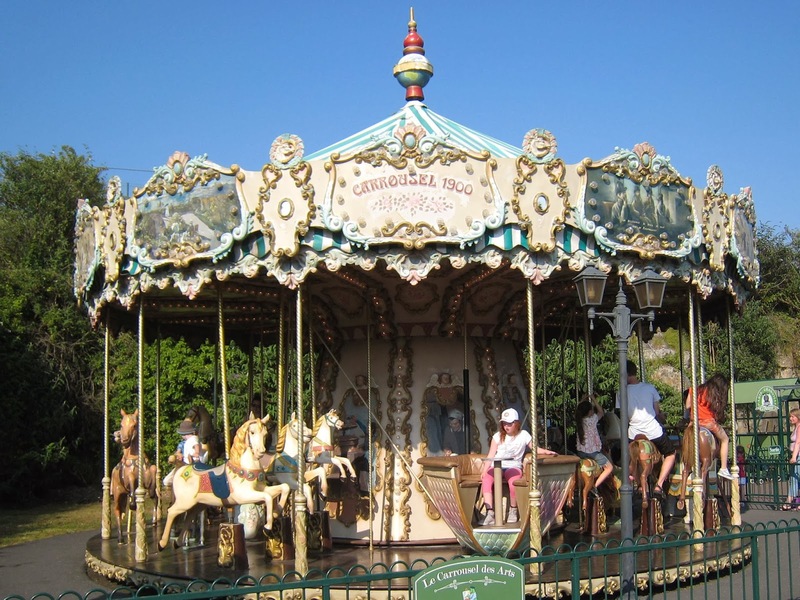 Despite the fact that the carrousel at Hotel de Ville is labeled "carrousel", the word that most French people use to describe a carousel (that's one R in the English spelling) is "manège". 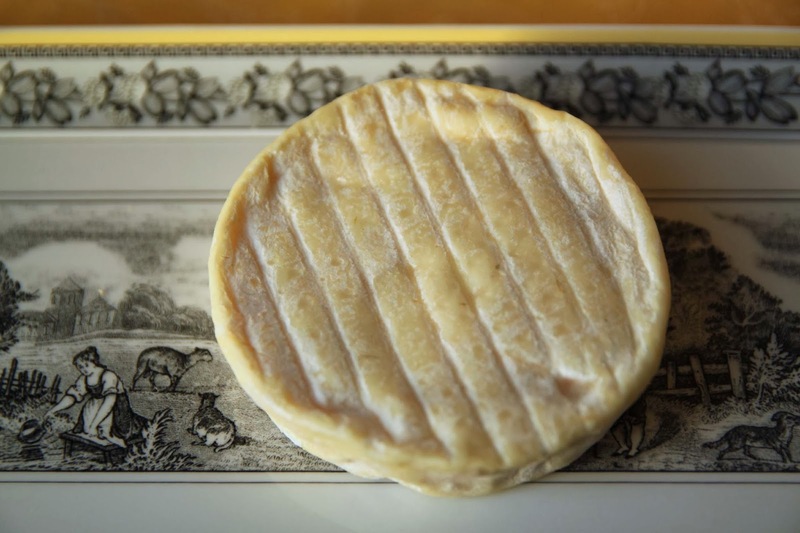 Perail Brebis, or Perail de Brebis, is a soft raw sheep's milk cheese made in Aveyron, in the Midi-Pyrénées. It's so soft, in fact, that it has to be ripened in special wooden molds to keep it from oozing all over as a near-liquid. This photo is taken straight from the fridge to keep it solidly in the solids camp. The molds explains the ridges in the cheese. As you would expect, this cheese is creamy, and wet, and spreadable. It's got a sweet and savory flavor going at the same time -- herby, grassy, flowery, milky, yet earthy and farmy. Yummy, is more like it, and it's devoured within seconds. One is a merry-go-round. One is a round that makes me merry. I just wish there were sheep in any of my merry-go-round photos (there's an elk-like thing and a pig. But why, oh why, am I always finding sheep cheeses when searching for horse connections? ).